Ali Akbar Khan gave his first public performance in Allahabad at age thirteen. 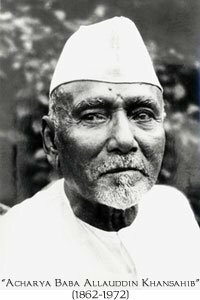 In his early twenties, he made his first recording in Lucknow for the HMV label, and the next year, he became the court musician to the Maharaja of Jodhpur. 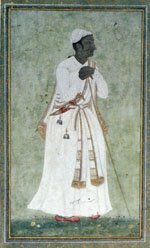 He worked there for seven years until the Maharaja’s untimely death. 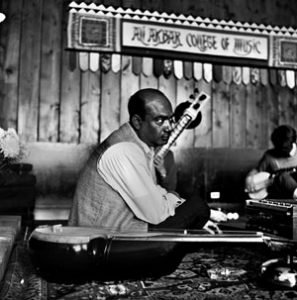 The state of Jodhpur bestowed upon him his first title, that of Ustad, or Master Musician. 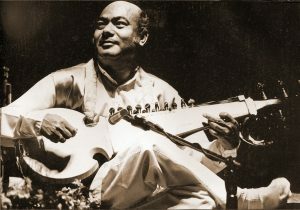 At the request of Lord Menuhin, Ali Akbar Khan first visited the United States in 1955 and performed an unprecedented concert at the Museum of Modern Art in New York. 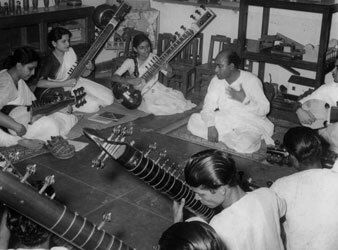 He also made the first Western LP recording of Indian classical music, and the first television performance of Indian music, on Allistair Cooke’s Omnibus, sowing the seed for the wave of popularity of Indian music in the 1960’s. 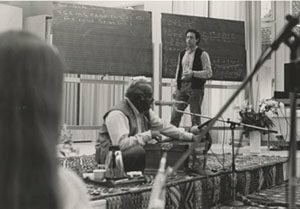 In 1967, he founded the Ali Akbar College of Music, which moved to Marin County, California, the following year. He then maintained a regular teaching schedule of 6 classes a week, 9 months of the year for the next 40 years. Khansahib also opened a branch of his college in Basel, Switzerland, that is still run by his disciple Ken Zuckerman. Khansahib composed and recorded music for films throughout his career. 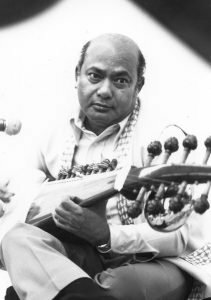 He composed extensively in India beginning with “Aandhiyan” by Chetan Anand (1953) and went on to create music for “House Holder” by Ivory/Merchant (their first film), “Khudita Pashan” (or “Hungry Stone”) for which he won the “Best Musician of the Year” award, “Devi” by Satyajit Ray, and in America, “Little Buddha” by Bernardo Bertolucci.